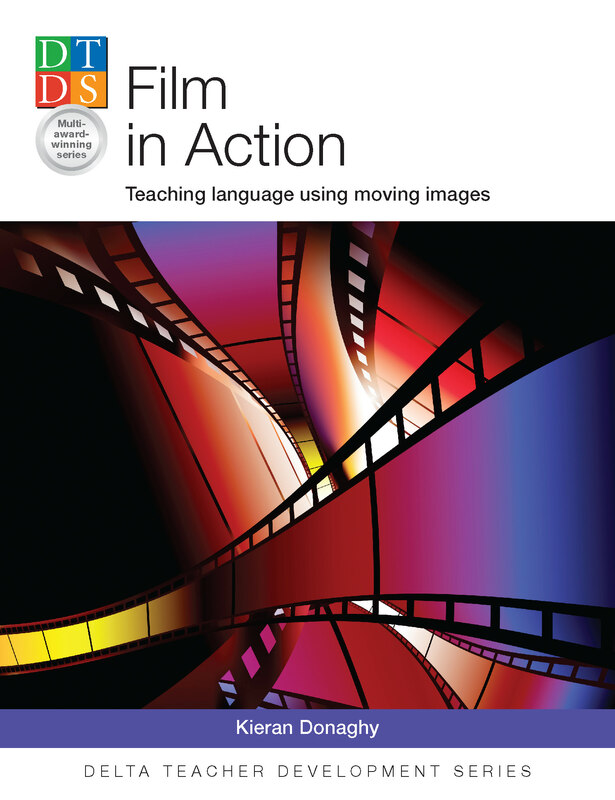 Film in Action is a book in the prestigious DELTA Teacher Development Series written by the award-winning writer Kieran Donaghy. The book offers guidance on taking on the challenge of the digital revolution; insights into how learners engage with film inside and outside the classroom; advice on effectively bringing film into the language classroom; and guidance on how both teachers and students can create their own moving images. This is the website which supports this book. It provides examples of the classroom activities and learner-generated films Film in Action, and advice on where to look for online for resources and lesson plans. Watch this short video trailer for Film in Action. How can I join and get a free copy of this book? I have ruminated for years about creating materials such as these fromwhich to teach. I wonder if there are opportunities to be a materials writer for you? I create all the materials myself and don’t employ any materials writers. However, the book would help you to learn how to write your own film based activities.